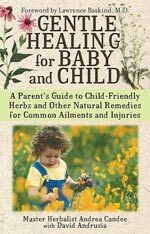 This Simon & Schuster publication offers parents a guide to child-friendly herbs and other natural remedies for common ailments and injuries. Awarded The Seal of Approval by The National Parenting Center. All remedies may be used by adults as well! For more information, click here. All publications can be ordered via email. Booklets are also available in PDF format.